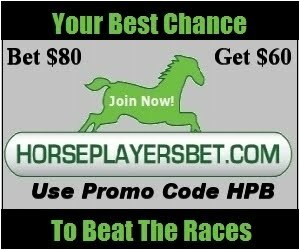 The Horseplayer Boycott of Churchill Downs Inc. seems to be gaining traction and it is also getting noticed by the media. Handle is off big time at Churchill Downs and Arlington. It is also down in a large way at Finger Lakes so far this season. Churchill Downs doesn't own Finger Lakes but this year it began distributing the tracks signal throughout the industry, allegedly increasing the signal fee, which means price sensitive rebate players (not just whales) get less and wind up betting less, causing the pool size to shrink, this coupled with the fact that Churchill downs also doesn't distribute their signal to all ADWs means Finger Lakes has now seeing handle shrink by over 20% compared to last year. Fair Grounds, another track owned by Churchill Downs Inc. is toying with increasing takeout as well. So if you are upset that Churchill Downs gave the finger to their customer by raising prices, and you want to send a message, just remember, Churchill Downs Inc. makes money not just with the tracks they own but they also make money distributing track signals. The tracks they make money on this way include: Churchill Downs, Arlington Park, Calder, Canterbury Park, Fair Grounds, Finger Lakes, Hoosier Park, Indiana Downs, Miami Valley, Oaklawn Park and The Meadows.